Citicoline is the name for cytidine 5′-diphosphocholine (CDP-choline). Citicoline is an intermediate in the generation of phosphatidylcholine from choline. Preliminary research has found that citicoline supplements help improve focus and helps prevent memory impairment resulting from poor environmental conditions. 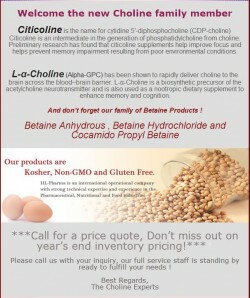 L-α-Choline (Alpha-GPC) has been shown to rapidly deliver choline to the brain across the blood–brain barrier. L-α-Choline is a biosynthetic precursor of the acetylcholine neurotransmitter and is also used as a no tropic dietary supplement to enhance memory and cognition. HL-Pharma, located in Santa Ana California, will act as Jinan Asia Pharmaceutical Ltd (JAP)’s exclusive U.S. representative North America. 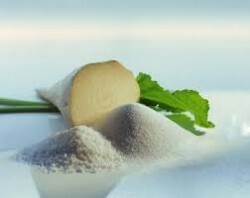 JAP is one of the global leaders in producing Choline, Betaine and their derivatives. Our full service staff is standing by and ready to address your needs. 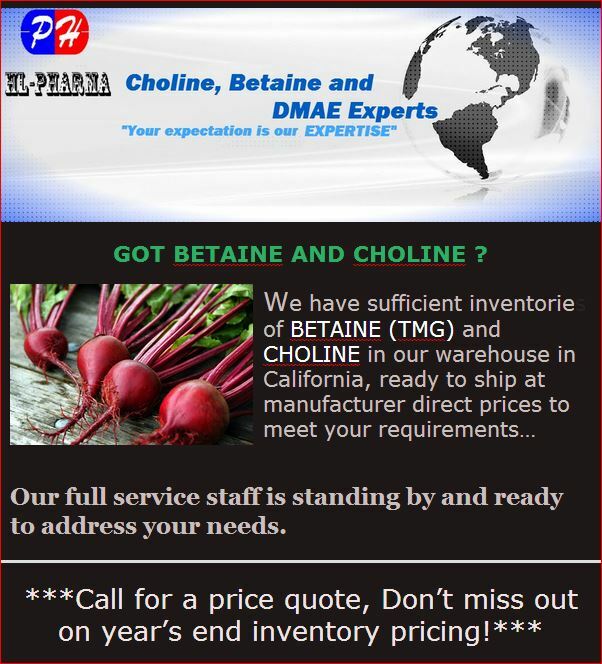 Got Betaine Anhydrous & Betaine Hydrochloride ? We have sufficient inventories of Betaine Anhydrous and Betaine Hydrochloride in our warehouse in California, ready to ship at manufacturer direct prices to meet your requirements. 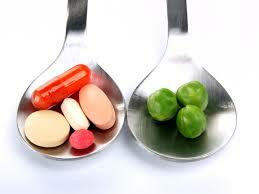 We are the global specialty provider in food, pharma & human nutrition industry. Our development fit your need! Call for a price quote, inventory run out fast! !